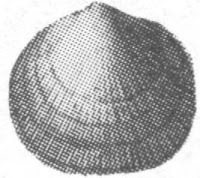 A well preserved fossilized shell half of a Rhipidomella hybrida brachiopod of the family Rhipidomellidae named by Schuchert in 1913. The genus Rhipidomella named by Ochlert in 1890 and the species hybrida named by Sowerby. 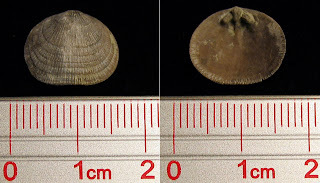 This specimen is the only one I have found in the Middle Silurian period Waldron Shale of Clark County, Indiana. 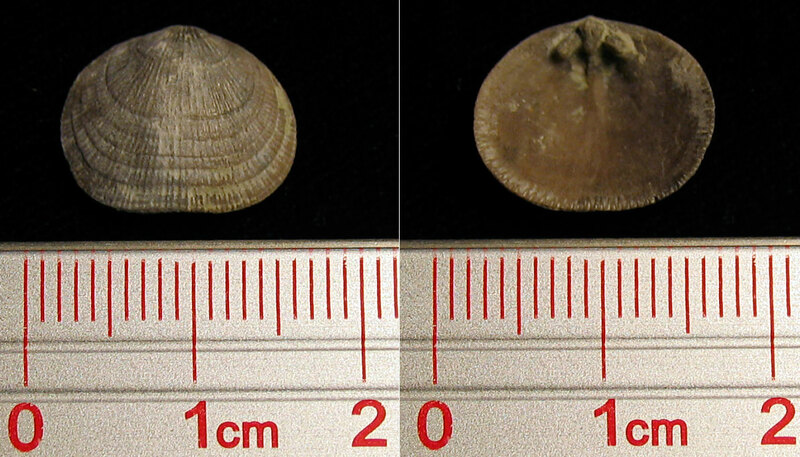 This brachiopod might be similar to the Dalejina hybrida (Dalejina = Mendacella) in the Rochester Shale of New York.